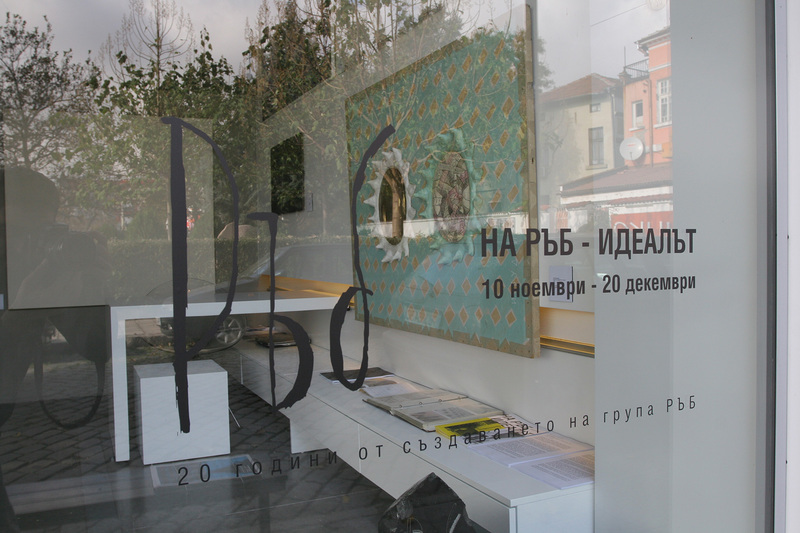 ‘THE IDEAL OF RAB’ exhibition in Sariev Gallery is dedicated to the 20th anniversary of ‘Rab’ ('Edge Group') artistic group, 20 years since the falling of The Berlin Wall and 20 years of democracy in Bulgaria. The exhibition in Sariev Gallery and the art-actions related to it in artnewscafe aim to provoke different views and appraisals of social reflections upon complicated social processes that happened through the years and their evaluation through the prism of socially-engaged art. ‘THE IDEAL OF RAB’ is an exhibition that questions, from the edge of the wall that separates past from present time, holidays from balance. Formed in the end of year 1989 Art-group ‘Rab’ became a phenomenon in Plovdiv art-life and emblematic for contemporary Bulgarian art from the 90s, called ‘non-conventional’. The art-group was set-up by painters from Plovdiv, some of whom having long artistic biography till that moment and being part of ‘non-conventional’ art-actions from the second part of the 80s. The founders of ‘Rab’ were: Albena Mihaylova, Veneta Marinova, Dancho Grigorov, Dimitar Kelbechev, Dimitar Mitovski, Emil Mirazchiev, Ivailo Grigorov, Igor Budnikov, Kolyo Karamfilov, Monika Romenska, Nadya Genova, Pavel Albert, Roumen Zhekov. Some of them dropped out or left Bulgaria through the years. Art-critic Dimitar Grozdanov had important role in the artistic development of the group, while art-manager Stefan Akrabov contributed to the realization of their projects. With irony and non-conformity, with atmosphere between the scandal and the romantically-musketeer, but also socially engaged pass all exhibitions right from the first one ‘’Symbols and Signs’’, with guest-participant Pravdolyub Ivanov (March 1990, Plovdiv), art-actions like “Black happening” (Plovdiv, 1990), “Root high in the sky” (Plovdiv 1990), “Bright light” (Plovdiv, 1991), “The body of water” (Pazardzhik, 1992), “Open breakfast” (Balchik, 1992). By organizing art-actions the group went out of the confined gallery space, found particular social places and radically replaced the established visions of audience and reactions. After their first exhibition “Symbols and signs”, “Rab” realized several solo exhibitions: “Big photography”, (Plovdiv, 1991), “The Ideal” (Plovdiv, 1992), “Opus Probect” (Plovdiv, 1993), “Rab in the back” (Plovdiv, 1994 in the framework of International photography meetings). 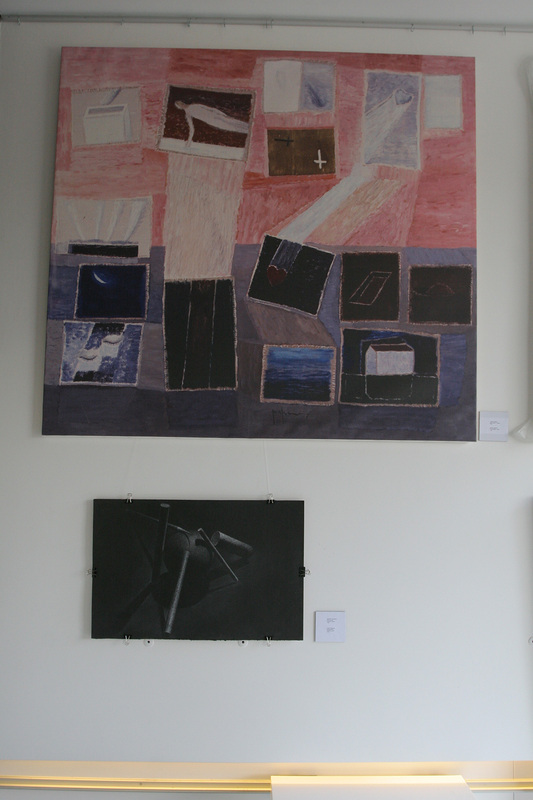 Along with the solo exhibitions the group took part in many exhibitions on national level and art-actions as: “Moderate avant-garde within the bounds of tradition”, 1990, “1aaa” happening, organized by “Art in action”, 1991, “The brick” exhibition in Akrabov gallery (Plovdiv, 1993); “Object in Bulgarian”, 1993; “N-shapes. 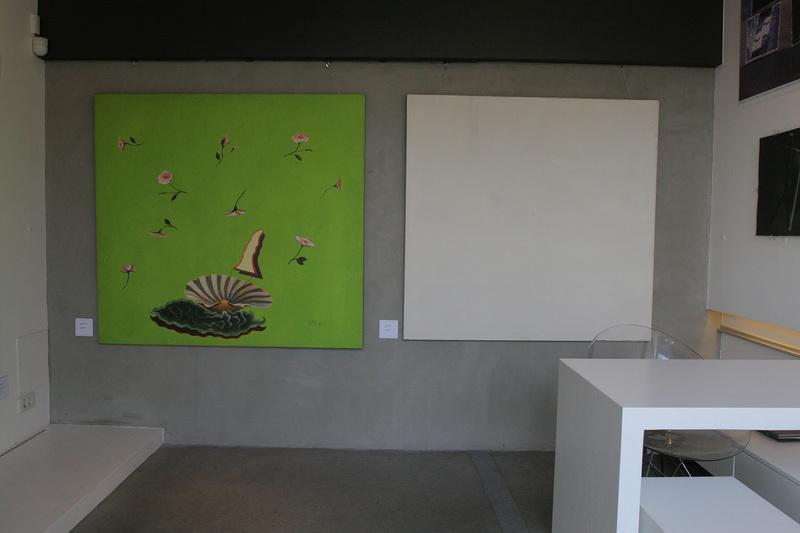 Reconstructions and interpretations”, 1994. ‘’THE IDEAL OF RAB” exhibition is not a complete retrospective presentation, but a way the 20th anniversary of ‘’Rab” to be celebrated. This will be realized by showing works from “The Ideal” project in 1992, which had two parts: ‘’The Ideal” exhibition in the gallery at “Gladstone” 32, Plovdiv and “Open breakfast” art-action, in the framework of “Process-space” festival in June 1992. 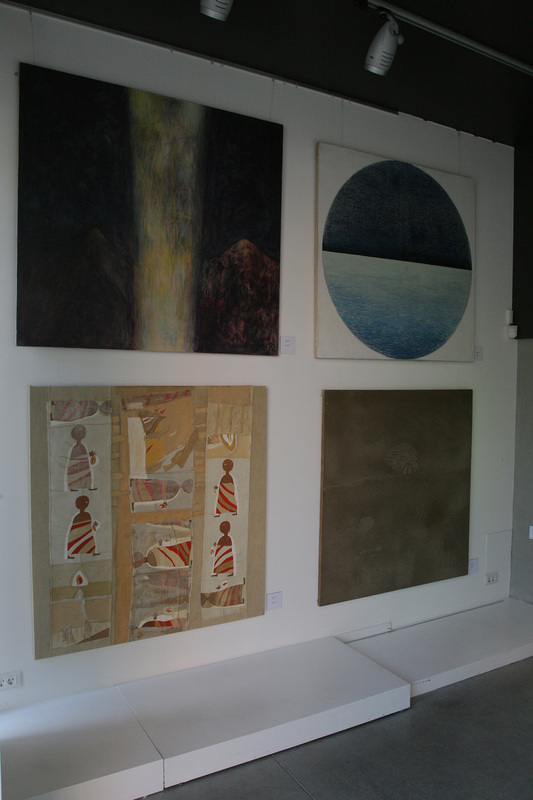 “The Ideal” was the third exhibition of the group in which take part the following artists: Albena Mihaylova, Emil Mirazchiev, Kolyo Karamfilov, Igor Budnikov, Veneta Marinova, Monika Romenska, Ivailo Grigorov. 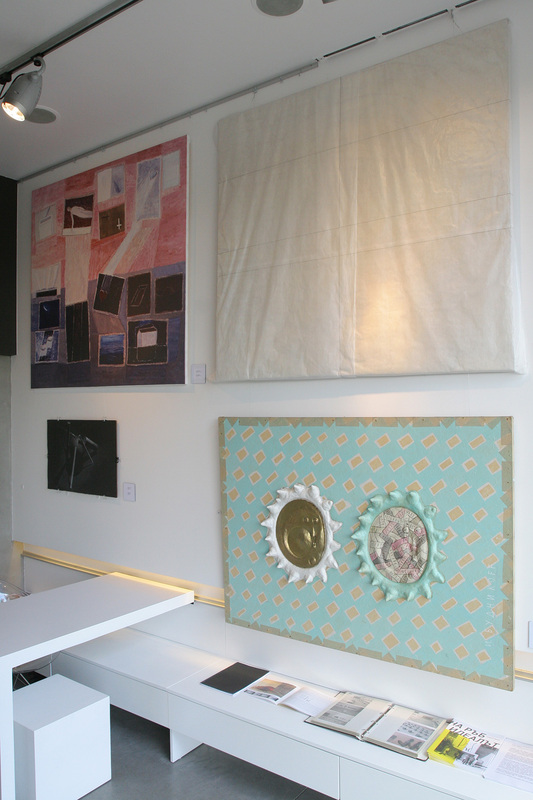 “THE IDEAL OF RAB” exhibition in Sariev Gallery includes exposition of ten paintings from the exhibition in 1992, 1.40x1.40 of size, documentary materials, that illustrate the history of the art-activity - exhibitions and art-actions of ‘’Rab”, research work by Zhivka Valyavicharska, as well as one ironical hint at the baked and eaten pigs in 1992. The gallery space in Sariev Gallery itself resembles a woman’s womb the gallery space at “Gladstone” 32 was transformed into in 1992. The project includes also a projection of video-film, consisting of documentary moments from the exhibition in Plovdiv and the art-action in Balchik. This film is a part of the presentation of ‘’Rab’’ in Sariev Gallery. The choice of Sariev Gallery to show “The ideal” exhibition particularly is reasoned. Even though it is presented as an artifact, and not as a process, as it was in 1992, it puts forward questions that were raised 17 years ago and which need to be discussed again. 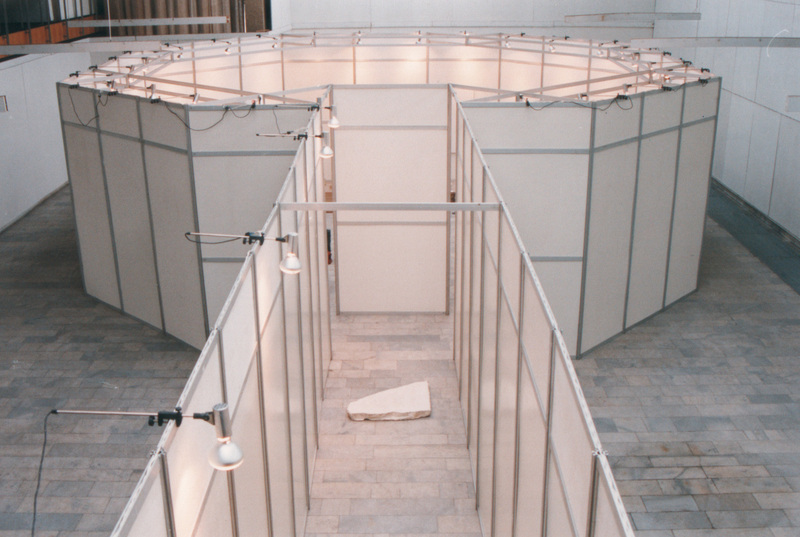 “The Ideal’’ exhibition in 1992 lasted 10 days, during which authors painted in front of the audience, who thus became involved in the mystery of artistic work. The gallery space was transformed into woman’s womb, where the spectator had the role of the father, originator of the ideal. Inscriptions on marble moulds on the floor were reminiscent of transience of time and the passing through it along the way to the essence of “the ideal”. But the seriousness of the whole concept was ridiculed through the exposure of hanged baked pigs, which appeared as a reference to the vision of art as something that could be consummated. In the second part of ‘’The Ideal” project – in art-action “Open breakfast”, the artists eat demonstratively big amounts of food, separated from the audience by a rope on the beach of Balchik. Thus they make reference to the manners in museums and express the sarcastic message that eating is a work of art. Sariev Gallery organizes the first retrospective presentation of “Rab” art-group on the occasion of its 20th anniversary, and gathers again its members in an exhibition, which from chronology turns into present and meets the public with this particular part of Plovdiv. The gathering of “Rab” members itself, their positive respond and help became a lively part of the whole presentation, which we are thankful for. 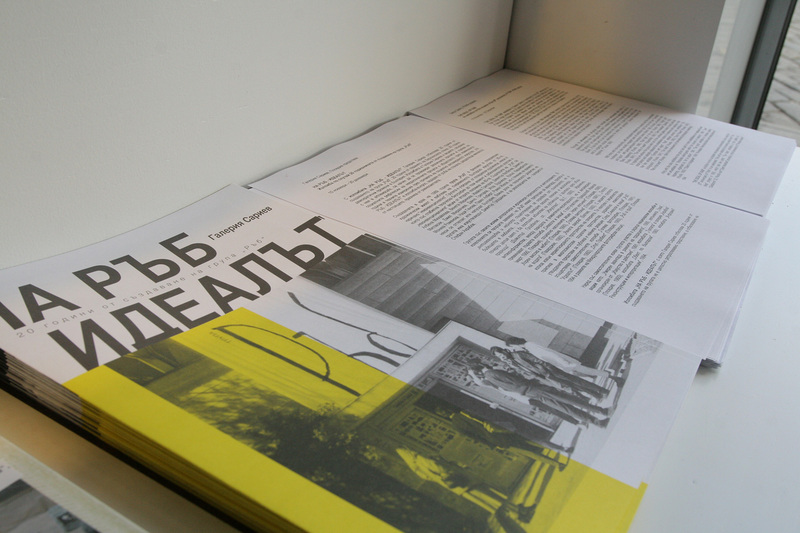 We are grateful especially to Zhivka Valyavicharska, who provided us with her diploma work about “Rab” group. The exhibition is realized with the support of Culture department of Plovdiv Municipality.